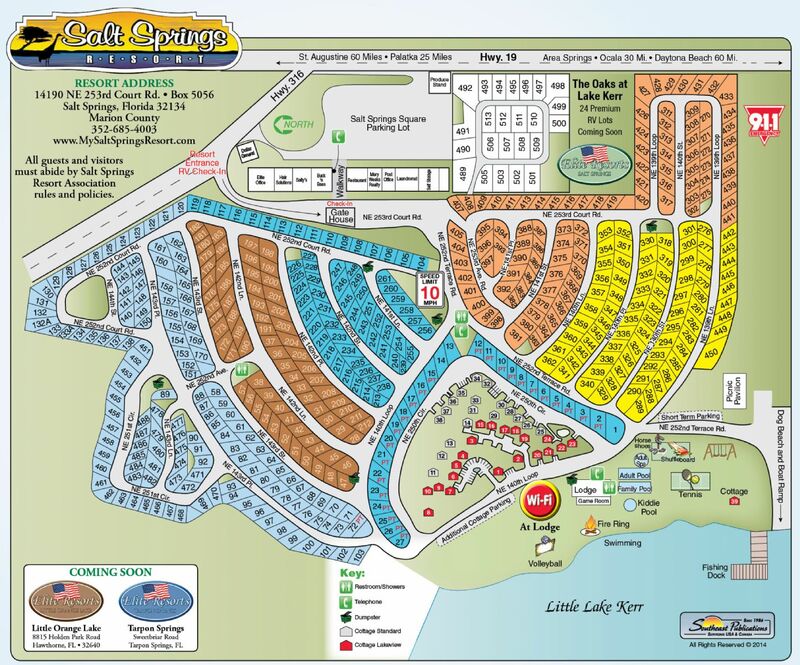 Getting around Elite Resorts at Salt Springs is easy and full color maps are available at the office. 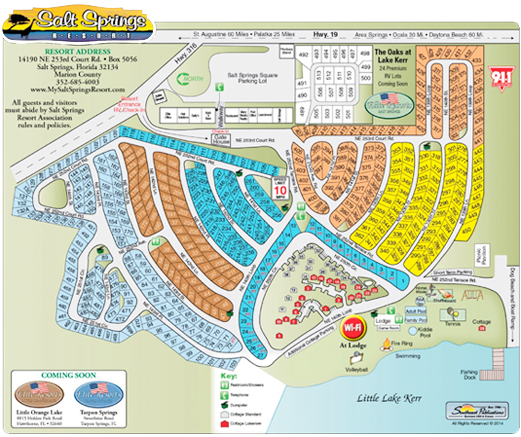 Many people chose to walk, bike, rollerblade or use golf carts to get from one place to another within the resort, but there is also lots of parking available at the lodge, lake and plaza. Let's stay in touch! Sign up to receive special seasonal offers & more! Copyright © 2015 Elite Resorts.